It’s been two days since the grand jury in Ferguson, Missouri reached its decision not to indict Darren Wilson, a caucasian police officer, in the shooting death of Michael Brown, a black teenager. The case, which has polarized the nation and has seen protestors gathering and marching in cities throughout the country since the non-indictment decision was announced earlier this week, involves the historical struggle our country has wrestled with since the days of slavery – white-black relations – and racial prejudice in general. I don’t know whether the grand jury reached the right decision in deciding not to indict Officer Wilson. I wasn’t on the grand jury so it wasn’t my decision to make. Nor can I second guess the grand jury’s decision since I wasn’t present at the proceedings, and despite the unusual move by prosectors in releasing transcripts of grand jury testimony and documentary evidence from the normally non-public proceedings, reading testimony without the benefit of observing the witnesses to assess credibility and reviewing evidence without the benefit of seeing how it was presented makes second guessing the grand jury . . well . . . guess work. 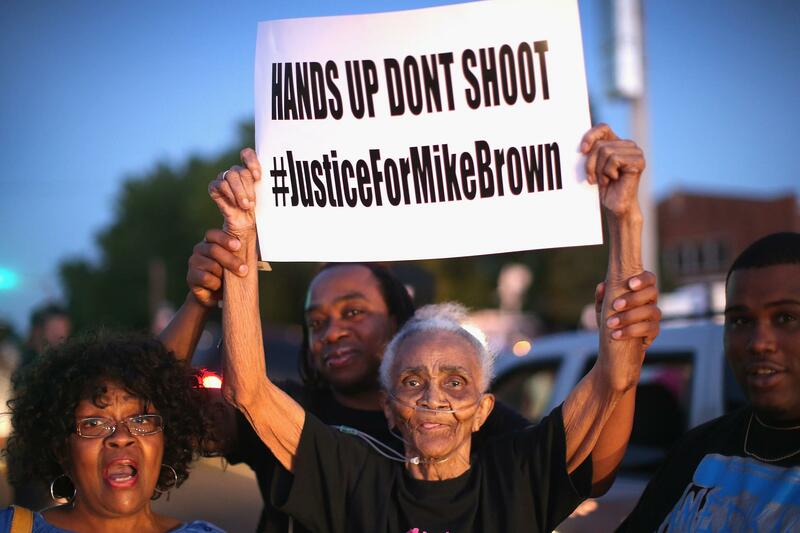 Why didn’t the prosecutor just charge Officer Wilson? Officer Wilson’s guilt or innocence could then be determined by a jury in public proceedings where cross-examination would have been allowed and the normal rules of evidence would have applied. Some commentators have suggested that the prosecutors in Ferguson decided to use the grand jury system to avoid having to make a decision whether to charge Officer Wilson – which would have been unpopular no matter what decision was made – but from the protests I’ve seen I think it’s questionable how effective or fair this “passing of the buck,” so to speak, really was. Why present “all evidence” to the grand jury? On its face, presenting all evidence to a grand jury seems fair right? But, typically, prosecutors present to the grand jury only the evidence necessary to establish “probable cause” to indict, a relatively low standard in which New York State chief judge Sol Wachtler was famously quoted by Tom Wolfe in The Bonfire of the Vanities as saying that “a grand jury would ‘indict a ham sandwich,’ if that’s what you wanted.” Nevertheless, some legal commentators have applauded the Ferguson prosecutors for presenting all evidence to the grand jury. Others, however, have criticized the Ferguson prosecutors for essentially giving Officer Wilson two get out of jail free opportunities – a non-indictment by the grand jury – and, if that failed, a verdict of not guilty at the subsequent criminal trial. Why did Officer Wilson testify before the grand jury? Defendants rarely testify before grand juries because their defense counsel is not allowed to be present and, hence, unable to raise objections to the questioning of prosecutors. I certainly would not let my client do so. Officer Wilson, however, testified for four hours before the grand jury. Think of it what you may – did Officer Wilson insist on presenting testimony because he believed his testimony would show his innocence? – or was there an express or implicit understanding between the prosecution and defense that Officer Wilson would not be faced with difficult examination by the prosecution? – either way it’s unusual. Tomorrow, of course, is Thanksgiving. And we have much to be thankful for. Among which, is one of the best, if not the best, legal systems in the world. But, it’s a delicate system. One that can be abused by those who place results ahead of justice. And, I’m not suggesting that was done in Ferguson. But if we have the public questioning the fundamental fairness of our legal system, the entire system is at risk of collapsing, since it is only the public’s trust in the legal system that allows it to work. Related to Ferguson and the I can’t breath demonstrations a representative of a police officers union said essentially that the public should shut up and do what the police tell them to do. As you would expect there was a lot of push back from a variety of groups. Do the police enforce the laws or are they free to impose additional constraints. Contrast this with building departments where the plan reviewers and inspectors impose their own requirements, not adopted into the building codes, yet nobody protests this abuse. True, perhaps, with the exception of the owner whose plans are not approved or whose building doesn’t pass inspection, but there’s a wide divide between that and the rights secured under our constitution.